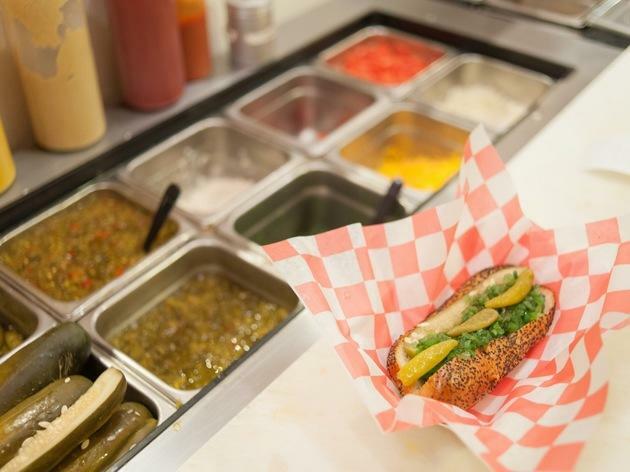 The team behind Matchbox and Ted’s Bulletin have another crowd-pleaser in DC-3, their hot dog joint on Capitol Hill. Named for the Douglas DC-3 air plane from the 1930s—which explains the giant vintage propeller on one wall—the counter-service restaurant dishes up a roster of regional hot dogs from around the US, from the famous DC half smoke to the New Jersey bacon-wrapped ripper, the Chicago 7 with pickles and tomatoes, and even a version of the standard New York dirty water dog. And then there’s the not so classic. 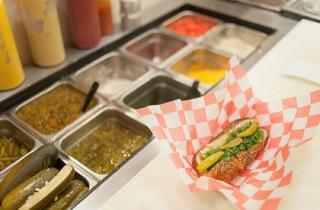 The Bay Bridge pretzel dog nods to the mid-Atlantic with crab dip heaped on the hot dog. Fried pickles, cotton candy and soft-serve ice-cream round out the playful menu.